Why Aren't Your Better Yet? You’re under pressure to heal. You’re under pressure to pursue and fulfill obligations. You’re under pressure to be who you used to be before chronic Lyme Disease, but there is just one thing standing in your way - chronic Lyme Disease. You’ve been dealing with chronic Lyme Disease with what seems like an eternity, but in more objective terms, it’s been months, years, or possibly even decades, and there may be some peer pressure that occurs occasionally - pressure to heal and be normal. ​While peer pressure isn’t always a bad thing, for with application to chronic Lyme Disease, it could be the impetus a person needs to enact and perform what must be done to get better. But when a person has done what they feel has been everything in their power to heal from chronic Lyme Disease, with no desired results to show for, and that same peer pressure shows its face, it can really damper and crush the mind with despair and anguish. Keeping one foot in the door of the life a person used to lead before chronic Lyme Disease while the rest remains with the life of chronic Lyme Disease can very distressful. There is this overwhelming need to continue and be a part of a normal lifestyle, but no matter how great or convincing the urge is to do so, there is no denying the chronic Lyme Disease anchor that weighs a person down and holds them back a good percentage. There are those who have chronic Lyme Disease who’ve made the choice to let that door close, for now, and dedicate all of their time and energy to healing from chronic Lyme Disease. They’ve made the painful choice to willfully estrange themselves from friends, family, and the people they love, and many times doing so without dispersing a memo. The reason a person will do this could be one of many. Some find they’re able to focus on their healing better by removing the distractions of the life they used to know, and the machine they used to be a part of. Some, if not most, remove themselves from society due to their physical and mental inabilities that no longer allow them to normally and reasonably partake in society. It’s important to remember that neither path is right or wrong. It’s even more understanding to know that the path a person chooses to exploit can only be perceived as right or wrong by the person who chooses it. And what finally makes it the most interesting is that the person who chooses which path to follow also possesses that same freedom of choice for their perception of the path they choose. The ugly nature of chronic Lyme Disease is that there are parts of it that are really out of a person’s control. Well, this could be argued with everything always being in a person’s control, but what appears to be out of control could really just be the choosing of what provides the best immediate remedy for pain and struggle, while preserving quality of life. But whichever argument you choose, neither really matters in the end because it’s not what is or isn’t in a person’s control that allows them to find tranquility, it’s how they perceive what is or isn’t in their control. A person may not always have control over the circumstances and events that they encounter in their life, but they’ve always had and will always possess complete control of how they perceive them. ​And by changing perception, a person can achieve that inner peace and tranquility that they may have inherently thought they could achieve by controlling a situation. If a person can find peace by changing a situation that is in their complete control, this should always be the first option exploited, but when a situation or event has another captain, it’s time to change how you perceive the trip. And unlike a life event, you’ll always be able to control the mind’s perception of that life event. Altering perception isn’t easy, but it can be done. Much like forfeiting common sense and appealing to the brain’s amazing ability to consciously rise above and control, the same must be done for perception alteration. By consciously analyzing a situation, a person will be able to obtain all truths about it whether they be good or bad, agreeable or disagreeable. Where conscious efforts really shine is the choosing of the good and agreeable truths over the bad and disagreeable ones. Chronic Lyme Disease is not a good truth, but bad could not exist or be understood without good, and where bad exists, good isn’t far behind. Make the conscious effort to find the good, that while more times than not is hidden from perception, that exists in the struggle and learning of chronic Lyme Disease, and hold onto it. And if you can’t find the good that exists during the fight, look forward to the good you know will exist, beyond the fight, in due time. Truth is universal. What’s true for one is true for all. You’re dealing with the truth and reality of chronic Lyme Disease, but even after making that truth well known to friends, family, and even a lover, they’re insatiable to every response you give. It’s almost as if after revealing your ineffable endurance of chronic Lyme Disease, and every detail and painstaking truth encompassing it leaves you as a person feeling as if you owe more than the truth, but you don’t. It’s impossible to give more than the truth, and you should never feel bad because you can’t. Besides, what really needs to happen here is that the truth you’ve already given to your friends and family must be accepted for what is it - truth. 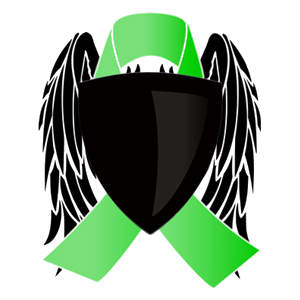 Once they as a people choose to understand, as most people can be understanding, the predicament a person with chronic Lyme Disease faces day in and day out will not be pressed for the truth it has already revealed. And as most people dealing with chronic Lyme Disease know, the problem is simply not a lack of explaining or revealing the truth of enduring chronic Lyme Disease, but a lack of understanding it from those that, more times than not, give the illusion of honest inquiry. People who want to learn about chronic Lyme Disease will learn about it. There has to be some type of interest or stake in it for them in order to willingly obtain more knowledge about it. It doesn’t help that everything chronic Lyme Disease is contends with common sense of the brain. Human beings are hardwired to use common sense and disregard anything that doesn’t agree with it. This is how our brains evolved. But not everything that is true will agree with the brain’s desire for common sense. Some examples of contention to common sense is that something can’t come from nothing, but in physics, on a quantum level, common sense doesn't apply here, and something can come from nothing. There are particles on a quantum level that appear in one location, disappear, and reappear in another in a process known as quantum tunneling. A person needs to forfeit their common sense in order to understand this truth. In order to see truth that conflicts with common sense, a person must not rely upon their gut feelings or common sense, they must use the newest part of their brains and make the conscious effort to abdicate common sense, and simply empirically observe a truth for what it is. Chronic Lyme Disease goes against everything that the human mind constructs with common sense for diseases. ​Such examples of the contention chronic Lyme Disease creates with the brain’s common sense understanding of disease is, the large duration of time a person can spend enduring without any clear indication or gauge of either disease or progress, the large and vast array of unpredictable symptoms that come and go, the unpredictable severity of those symptoms, and getting worse and remaining worse for months or years on end before remission or complete healing is achieved (i.e., the herxheimer reaction). But before any of this can be perceived as truth, there is one truth that must be acknowledged first - the existence of chronic Lyme Disease. All others truths will follow. In the end, it’s important to remember that you’re the one subjected to and dealing with chronic Lyme Disease here. You know the pain, the struggle, and the efforts needed to get you back to where you were, and the opinions of those who aren’t enduring it should never matter or influence. Though sometimes those opinions and advices may be well intended, and it won’t hurt to listen, complete healing can be achieved without them. ​It’s not that what other people say, whether it be good or bad doesn’t matter, it’s that the duty and ability to heal and restore life can be done so without any ounce of consideration for them at all. The reason is because all the answers, and everything a person needs to start and sustain the effort to completely heal from chronic Lyme Disease, will always be found within the person faced with this reality. "Lawrence Krauss On 'A Universe From Nothing'" NPR.org. NPR, 13 Jan. 2012. Web. 05 Nov. 2014.